SECTION 1. Name: The name of the organization shall be Alpha Kappa Mu Honor Society. SECTION 2. Purpose: The purpose of the Society shall be to promote high scholarship; to encourage sincere and zealous endeavor in all fields of knowledge and service; to cultivate a high order of personal living; and to develop an appreciation for scholarly work and scholarly endeavor in others. (B) The Executive Council of the National Organization composed of the President, Vice President, Executive Secretary-Treasurer, Assistant Secretary, the Immediate Past President, three elected members, one elected student member, and any Emeriti. SECTION 4.  Affiliations/Memberships: The Society shall maintain membership in the Association of College Honor Societies (ACHS). SECTION 5. Incorporation: The Society shall be a not-for-profit corporation organized under the laws of the State of South Carolina. SECTION 1. Location: A chapter may be established at any four year degree-granting college or institution which is fully accredited by an appropriate national or regional accrediting agency. When a branch institution has operated under an accredited institution and later separates from its parent institution, the branch institution will not be eligible to receive a charter until it is accredited by the appropriate accrediting agency. SECTION 2. Petition for a Charter for Chapter Membership: A petition for a charter for chapter membership shall be signed by a minimum of seven petitioning juniors and seniors with a cumulative scholarship average which meets the requirements for membership. The petition must be signed by the President and Academic Dean of the College or University also. All petitions for the establishment of chapters shall be presented to the Executive Council that shall ascertain whether the institution and members of the proposed chapter are qualified for such membership according to the provisions of this Constitution. If the findings of the Executive Council are in the affirmative, the petition shall then be submitted to the active chapters for approval. A three-fourths vote of the active member chapters shall authorize the establishment of the chapter by the Executive Council. The vote of an active member chapter that fails to reply within a period of sixty days after the petition has been received shall be counted affirmative. A three-fourths vote of the active members of a chapter shall be necessary for the chapter vote on the petition to be affirmative otherwise it shall be negative. Be it known that a charter for the establishment of___________________ Chapter of Alpha Kappa Mu Honor Society is hereby granted to the persons designated below as charter members, conveying to them and their duly elected associates and successors all the rights and privileges conferred in the Constitution of the Society. IN WITNESS WHEREOF, the signatures of the National President and the Executive Secretary-Treasurer and hereunto affixed on this, the _____________ day of _____________________ in the year of our Lord ______________________. SECTION 4. Chapter Name: The chapters shall be named with Greek letters in alphabetical order according to the time of the installations; the first chapter being named Alpha Alpha, and the second Alpha Beta, etc. This shall not apply to original charter chapters which may retain their own combination of Greek letters. SECTION 5. Fees: No chapter shall be authorized or established and no charter shall be issued to a chapter except upon the payment of proper fees as prescribed by the ByLaws. SECTION 6. Chapter Officers: The chapter officers shall include a president, secretary-treasurer, faculty or staff advisor (some of whose duties will be to keep an accurate record of the chapter so as to insure continuity of activities, to keep safely chapter files, and to facilitate correspondence and contacts with the National Office), and such other officers as the chapter constitution may provide. SECTION 7. Chapter Constitution: Each chapter is empowered to adopt a chapter Constitution and ByLaws, in keeping with the provisions and intention of the National Constitution and to submit the same to the Executive Council for approval within six months after the chapter has been established. When the chapter constitution has received the approval of the Executive Council, and a copy filed with the Executive Secretary-Treasurer it shall then become, upon its adoption by the chapter, the official constitution of the chapter. The entire process of the adopting the constitution shall be completed within one year of the date of the establishment of the chapter. (A) Financial: A chapter which fails to pay the dues, fees, or assessments prescribed by the Executive Council, or by vote of the National Organization for two consecutive years, may be suspended by the National Organization in Convention. A chapter thus suspended may be reinstated upon payment of an Assessment stipulated by the Executive Council. (B) Representation at National Conventions: A chapter which fails to be represented at the National Convention by a properly qualified delegate, for two bienniums, may be suspended by the National Organization. A chapter thus suspended may be reinstated upon payment of an assessment stipulated by the Executive Council. (C) General: After proper warning by the National President, a chapter which fails to govern itself according to the provisions of the National Constitution or which fails to respond to and comply with the reasonable and constitutional requests of the National Officers and/or the Executive Council, may be suspended by the National Organization in convention. A chapter thus suspended may be reinstated by satisfying the Executive Council that the delinquencies have been corrected and upon the payment of an assessment stipulated by the Executive Council. SECTION 9. Inactivity: A chapter which has become inactive because of delinquencies listed in Section 8, or because of the loss of advisors and/or chapter officers may be reinstated by payment of reinstatement fees prescribed by the Executive Council. When a chapter has become inactive due to the loss of advisors or chapter officers, the president or dean of students of the institution where the chapter is located must send to the national office the name of the faculty or staff member who has been appointed to serve to reactivate the chapter. The Regional Director will be notified of this action. SECTION 10. Loss of Rating: A chapter located at an institution which loses it rating by the regional accrediting agency, may be continued on the official membership roster on a probationary status for a maximum period of two years. SECTION 1. Types of Membership: The Society is a membership organization. The membership of this organization shall be open to men and women who meet the requirements for eligibility listed below and shall consist of collegiate, alumni, local honorary, laureate honorary, and life members. SECTION 2. Collegiate Chapter Member: Collegiate chapters shall elect members from a list of those scholastically eligible and approved by the chapter advisor(s). An affirmative vote by the majority of chapter members present at a regular meeting is necessary for election to membership. Candidates are not inducted in absentia. (6) Exhibits the potential for leadership and service. SECTION 3. Alumni Member: A graduate who was inducted as an undergraduate. (A) Chapter advisors who are non-members and have been endorsed by the President or Dean and elected by the chapter. They must be approved by the Regional Director and the Executive Council. A chapter may have up to two advisors. (B) Persons of scholarly attainment and demonstrated leadership ability who would be an asset to the Society. Those must be nominated and approved by the advisor(s), the Regional Director, and the Executive Council. SECTION 5. Laureate Members: These are outstanding persons whose achievements have brought them national distinction. They may be nominated by a chapter, an alumni member, or by the Executive Council. These nominees must be approved by the Executive Council before election, and will be inducted at the Convention following their election. SECTION 6. Life Members: Any regular (active) member who has been in good standing for five (5) or more years may apply for LIFE MEMBERSHIP. The fee for a Life Membership shall be set by the Executive Council and may be paid in installments over a period of three (3) years. SECTION 7. Transfer Students: A transfer student must have attended the new institution for at least one year and must have acquired a minimum of thirty (30) semester hours or forty-five (45) quarter hours of credit as a full-time student. The academic requirements listed in Section 2 must also be met. SECTION 8. Restriction of Active Membership: Only seniors and juniors (see Section 2 above) who are in the upper ten percent (10%) of their class shall be eligible for active membership. SECTION 9. Permanence of Membership: Membership is regarded as permanent except for grave cause. SECTION 10. Transfer of Membership: Active members may transfer their membership to some other chapter as long as they are in good standing with the chapter from which they are transferring. This can be verified by the Executive Secretary-Treasurer. SECTION 11. Membership in Alpha Kappa Mu is open to qualified candidates including persons with disability, without regard to age, color, gender, national origin, race, religion, and/or sexual orientation. SECTION 1. The National Officers shall be the President, Vice-President, Executive Secretary-Treasurer, Convention Secretary, Historian, Director of Public Relations, Parliamentarian (the senior past president present at the convention), Convention Reporter, Regional Directors, the Immediate Past President, and three elected members of the Executive Council (one of whom shall be a student). (1) The National President - He or she shall be elected for two biennia and shall not succeed himself/herself. (2) The Convention Secretary, the Historian and The Faculty Members of the Executive Council shall be elected for two years and may be reelected. (3) One-half of the Regional Directors (odd- numbered regions) shall be nominated by their respective Regions and elected at the Biennial Convention for two biennia. The other half (even-numbered regions) shall be nominated by their respective Regions and elected at the next Biennial Convention for two biennia. (5) The Executive Secretary-Treasurer and Director of Public Relations shall be elected by the Executive Council and shall serve at its pleasure. A term for the Executive Secretary-Treasurer is two biennia. The Director of Public Relations is elected for a term of two years. (6) The Parliamentarian shall be a past National President and shall be appointed to serve. SECTION 3. Eligibility: All financial members in good standing are eligible for National offices except laureate members. SECTION 4. Nomination of National Officers: A nominating committee of three alumni or faculty members and one student member shall be appointed by the President in non-convention years. The past National president generally will be appointed and will chair the committee. Names of persons submitted for consideration by the committee must have agreed to serve if elected. The committee should bring in nominations for those offices which shall become vacant at the next Convention. Student officers are not eligible to succeed themselves. SECTION 5. Duties of National Officers: The duties of the National Officers shall be such as usually pertain to the respective offices. (7) Perform any other acts usually pertaining to the office. (3) Be a member of the Executive Council. (6) Perform such other duties as the President or Executive Council may direct. (4) prepare and circulate the Convention Reports. E. The Assistant Secretary shall assist the Convention Secretary. (4) Edit and publish the AKM JOURNAL periodically. G. The Historian shall capture significant events, and maintain the history of Alpha Kappa Mu Honor Society, Inc.
H. The Convention Reporter shall assist the Director of Public Relations prior to, during, and immediately following the Biennial Convention. I. The Regional Directors shall be responsible for, and concerned with the progress and welfare of each chapter in his/her Region, and for any chapter assigned by the National Organization. Detailed information on the Director's duties is found in Article VII. SECTION 1. Composition of: The Executive Council shall consist of the following National Officers: President, Vice President, Executive Secretary-Treasurer, Assistant Secretary, the Immediate Past President, three elected members (one of whom shall be a student), and all members holding Emeritus status. SECTION 2. The members of the Executive Council shall be elected as prescribed in Article IV. (H) It shall secure adequate space, and provide the necessary equipment for conducting the duties of the office. SECTION 4. Executive Committee: During Conventions, the Executive Council shall be joined by all National Officers and operate as an Executive Committee for the period of the Convention. SECTION 1. National Conventions of the Society shall be held biennially in odd-numbered years at a time and place to be determined by the Executive Council with the approval of the Convention. SECTION 2. The authorized delegates duly assembled in Conventions constitute the highest governing and legislative body of the Society. SECTION 3. Representation: One representative from each chapter shall be designated its official delegate, and shall have one vote. One faculty advisor from each chapter shall have one vote. Each National Officer shall have one vote when present. There is no limitation on the number of representatives a chapter may bring to Convention. However, every person attending the Convention must hold a current membership. SECTION 4. The Executive Secretary-Treasurer shall issue the call for the Convention at the direction of the National President. SECTION 1. There shall be eight geographical regions whose boundaries shall be specified by the Executive Council, and approved by the Convention. Each region shall be supervised by a Regional Director. SECTION 2. Regional Biennial Meetings shall be held on even-numbered years during the last weekend in March except when this is Easter Weekend. If the Easter Weekend intervenes, the time and place shall be established by the Executive Committee of the region. This committee shall be composed of the President, Vice President, the Regional Director and a student representative. The Regional Director shall serve as Secretary-Treasurer. SECTION 3. The chief governing body of the Region shall be the Regional Biennial Meetings. Each chapter shall be represented by one student voting delegate and the advisor. SECTION 4. Election of Officers: The Regional Meeting shall elect the President and Vice President, both of whom shall be faculty or staff persons, for a period of two bienniums. The student representative shall be elected for a period of one year. SECTION 5. A quorum at a Regional Meeting shall consist of one-third of the voting delegates from one-third of the chapters in the Region. (3) Conducts other duties delegated. (2) Assists the Regional Director in carrying out the business of the Region. (7) makes a biennial report to the Biennial Convention. Robert's Rules of Order, the most recently revised edition, shall govern the proceedings of meetings of the Honor Society and chapters when not in conflict with this Constitution and ByLaws. SECTION 1. Adoption: ByLaws may be passed by a two-thirds vote of the active chapters during the interim. ByLaws shall be reviewed by the Executive Council before being submitted to the Society. SECTION 2. Suspension: ByLaws may be suspended by a two-thirds vote of the Society in biennial Convention or by a two-thirds vote of the active chapters. SECTION 3. Amendments: Any active chapter may propose an amendment to the Constitution. An amendment must be proposed and submitted to the Executive Council for study at least six months before the Biennial Convention. If the Executive Council repotrs it favorably, the amendment shall be submitted to each chapter at least two months before the Biennial Convention. If it receives a two-thirds vote of the Society in Biennial Convention, it shall be submitted in final form by the Executive Council to the active chapters. An affirmative vote by two-thirds vote of the active chapters shall constitute ratification and adoption. If a chapter fails to send in its vote on the proposed amendment within sixty days after it has been submitted the vote shall be reckoned as affirmative. Bylaws may be amended by a two-thirds vote of the Society in Biennial Convention or by a two-thirds vote of the active chapters, during the interim. Amendments shall be reviewed by the Executive council before being submitted to the Society. Amendments approved by Executive Council by a two-thirds vote may be submitted to the chapters by mail or email ballot to be acted upon at a regular or special meeting of each chapter. Adoption shall be by a two-thirds vote of those chapters returning ballots by a date clearly specified on the mail and/or email ballot. SECTION 1. Depository: The funds of the Society shall be deposited by the Executive Secretary-Treasurer in the name of the Society in a bank of sound financial rating which is a member of FDIC. SECTION 2. Payment of Bills: The Executive Secretary-Treasurer shall be responsible for the payment of all legitimate bills of the Society and shall make payment through the use of a voucher signed by the National President. SECTION 3. Records of Reports: The Executive Secretary-Treasurer shall keep all financial records, and make annually a financial report to the Society. SECTION 4. Audit of Records: There shall be a financial audit of the books of the Executive Secretary-Treasurer by a Certified Public Accountant. A report shall be made to the Executive Committee and to the membership at the National Convention. SECTION 5. Budget: The Executive Council shall approve the budget prepared by the Executive Secretary-Treasurer and present it to the Society in Convention. A majority vote shall be necessary for its adoption. SECTION 6. Financial Responsibilities: Alpha Kappa Mu Honor Society, Inc., shall not be responsible for the debts of collegiate chapters. SECTION 8. Special Assessments: Upon recommendation of the Executive Council, special assessments may be levied by a majority vote of the Society in Convention, or by a vote of a majority of the chapters during the interim. SECTION 9. Bonding: The Executive Secretary-Treasurer shall be bonded to cover the assets of the Society as warranted in such circumstances, and shall state annually the amount of coverage and the expiration date of the bond. SECTION 1. Insignia: The insignia of the Society shall be in the form of a key and described as follows: A gold key engraved with the letters AKM, a torch, a quill, and an open book. Keys are issued in two sizes, a large size and a small size, and may be gold-filled or made of ten-carat gold. All insignia must be purchased through the office of the Executive Secretary-Treasurer. To replace lost jewelry, the chapter secretary must make application to the Executive Secretary-Treasurer, and make payment of the necessary fee. The insignia is to be worn only by a bonafide member of the society. SECTION 2. Ritual: There shall be a national Ritual for the induction of individual members of the Society. The Ritual shall be simple, appropriate, and in keeping with the dignity and purpose of the Society. SECTION 3. Colors: The colors of the Society shall be Royal Blue and White. SECTION 1. All new members at the time of their induction shall be required to pay to the National Organization a fee stipulated by the Executive Council; this fee is to include the cost of the certificate, current membership card, and a copy of the Constitution and ByLaws, a contribution to the Gore-Crawford Scholarship Fund, and the purchase of the AKM Key. SECTION 2. The induction fee shall be fixed by the Executive Council, and approved by the National Convention. SECTION 3. All active members of the Society, except laureate and life members are required to pay an annual fee fixed by the Executive Council for which they will receive membership cards and official literature. SECTION 4. The fee for honorary membership shall be fixed by the Executive Council. SECTION 6. An Advisor's Council was authorized in 1959. This Council shall elect its officers and meet during the National Convention. Officers shall be elected for two biennia. SECTION 7. A Regional Director's Council was authorized in 1963. This Council shall elect its officers and meet during the National Convention. Officers shall be elected for two biennia. SECTION 9. Decision shall be reached by a majority vote. SECTION 10. When Convention is in session, Article II, Section 2, shall be interpreted to mean that a three-fourths affirmative vote of the chapters represented shall authorize the establishment of a chapter. SECTION 11. The duties of the Committee on Scholarships shall be to receive applications from eligible college seniors, to evaluate the qualifications of candidates and report its recommendations to the Convention. It shall name two $2,000 George W. Gore, Jr.-Thomas J. Crawford Scholarship Award winners each year. Any elected officer of the Chapter may be removed for just cause. Sufficient cause for such removal may be violation of the Chapter Bylaws or Society Constitution or any lawful rule, practice, or procedure adopted by the Chapter or other conduct deemed to be prejudicial to the best interest of the Chapter. For removal of an elected officer for cause, it shall be necessary for the Chapter Executive Committee to hold a formal hearing. A statement of the charges shall be sent by registered mail to the last recorded address of the officer, accompanied by notice of the time and place of the meeting at which the charges are to be considered. At least thirty days notice shall be given, and the officer shall have the opportunity to appear in person or to be represented by counsel and to present any defense to such charges before action is taken. The Chapter Executive Committee shall adopt such rules as may be necessary to assure due process to the officer. Upon a two-thirds affirmative vote, the Chapter Executive Committee shall recommend removal to the Society Executive Council. The Society Executive Council shall by majority vote, approve or reject the recommendation of the Chapter Executive Committee either at the next meeting or through an electronic meeting.